In the 75 years since his creation, there have been so many different takes on the character of Batman. Created by Bill Finger and Bob Kane in 1939, it wasn’t until he made the leap to screens big and small that he became a household name. Believe it or not, 21 actors have played Batman on television and film. Here are three of the best and most influential. When Christopher Nolan was tapped by Warner Bros to reboot the Batman film franchise, Bale was cast in the title role. He had just completed a role in The Machinist, for which he had slimmed down to a skeletal 56kg - a far cry from the powerful Batman. He then shot up to a muscular 96kg to achieve Batman’s physique in the space of just 5 months. He perfected his American accent and slid effortlessly into the role of troubled, guarded Bruce Wayne and his alter-ego. 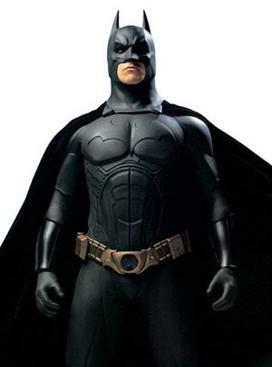 Bale’s Batman employs a vocal modulator in his cowl, making him sound gravelly. He uses gadgets and devices that would not be out of place in the real world. Bale returned for two sequels, The Dark Knight and The Dark Knight Rises, also directed by Nolan. In 1966, Bill Dozier launched a Batman TV serial and cast Adam West, an actor best known for roles in westerns and crime dramas, as Bruce Wayne/Batman. The show was a smash hit, catapulting West and his co-star Burt Ward to stardom. Batman is still remembered for its broad, slapstick humor and innuendo, its rapid fire theme song and its villains played by memorable character actors, but it is West’s performance that is the stand out - his curious way of speaking, his endlessly quotable dialogue (“Some days you just can’t get rid of a bomb,”), even his over-dramatic movements when in costume. Batman has been derided for its campiness, its low-budget effects and even West’s deliberately hammy performance. The truth is that Batman is perhaps the most accurate adaptation ever made, perfectly reflecting the pages of the actual Batman comics of the time and we have West to thank for that. The greatest and most influential actor to ever play Batman is a man whose name you may have never heard before. A deep-voiced stage actor from New York, Conroy was cast of Warner Bros to play Bruce Wayne/Batman in 1992’s Batman: The Animated Series, a Saturday morning cartoon designed to tie in to Tim Burton’s Batman Returns. Conroy brought several firsts to his performance - for instance, he was the first actor to employ different voices of Bruce Wayne and Batman, respectively (used by almost every actor since, including Christian Bale). Conroy has played Batman longer than any other actor in live-action or animation, voicing the character in 34 films, TV shows and video games. He is lovingly referred to as “The People’s Batman” and will next appear in Batman: Arkham Knight from Rocksteady Games and Warner Bros. Interactive. These are just three of the best-loved actors ever to don the cape and cowl and they will not be the last - Ben Affleck’s turn in Batman v Superman: Dawn of Justice is just around the corner. If you’re missing a few of the key Batman films from your collection, you can pick up the entire collection – 75 years’ worth – by heading over to the Warner Bros. website. Who is your favorite Batman? Who would you cast as your dream Batman? Leave your thoughts in the comments below!